Directed by Thomas Vinterberg. 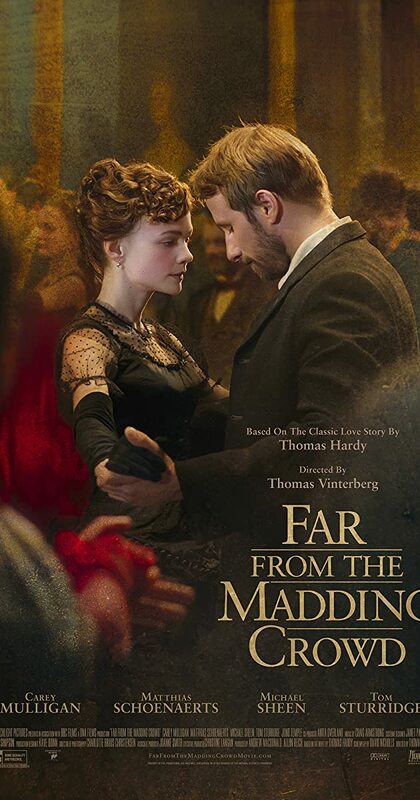 With Carey Mulligan, Matthias Schoenaerts, Michael Sheen, Tom Sturridge. In Victorian England, the independent and headstrong Bathsheba Everdene attracts three very different suitors: Gabriel Oak, a sheep farmer; Frank Troy, a reckless Sergeant; and William Boldwood, a prosperous and mature bachelor.